Natalie often expresses her gratitude for having had the opportunity to be part of local news at its best and to have worked for a television station that believed its duty was to serve the viewers with the best information the team could provide. 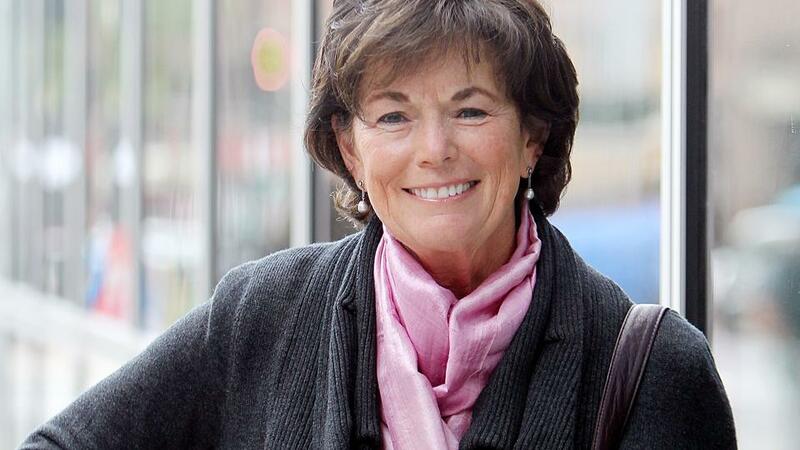 Natalie Jacobson, better known to New Englanders as “Nat” reported and anchored news, specials, and live events from 1972 to 2007 while working for WCVB-TV. Natalie began her broadcasting career at what was channel 56 in 1969, writing the stations license renewal and creating public service programming. From 1970 to 1972, Natalie worked with WBZ-TV, at ﬁrst writing their license renewal and then creating and producing Que Pasa, First Person, For Kids Only and election specials. In March of 1972, Natalie got the break she hoped for, and was hired as a reporter for the ﬂedgling WCVB-TV, a locally owned company at the time which got the license to operate Channel Five. Under the extraordinary direction of Robert Bennett and the late Jim Thistle, Channel Five created television news as it had never been known before. The history of our times played out on nightly newscasts, live specials, and innovative entertainment programs such as Good Morning. Natalie alone and with her then husband Chet Curtis, reported and anchored every major broadcast until 2007 when she left the station to pursue other interests. She now is working on various ventures and resides in Boston and Nantucket.